What is the definition of special sales? What are examples of non-traditional sales? What are the benefits of selling to these segments? How big is the market for non – bookstore sales? Should publishers sell to non-bookstore markets instead of bookstores? Can fiction be sold to non-bookstore markets, or are these only for non-fiction? 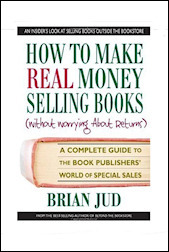 Brian Jud is a partner in Premium Book Company, selling books on a commission-only basis to buyers in non-bookstore markets. He also conducts the series of Masters of Book Marketing™ seminars and Book Marketing Monthly™ teleseminars. Brian is the author of the series of printed booklets with Proven Tips for Publishing Success. 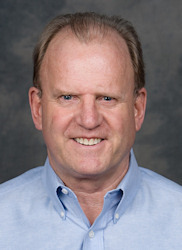 He is editor of the Book Marketing Matters special-sales newsletter, and creator of the Special-Sales Profit Center. He is the host of the television show, The Book Authority and author and narrator of the media training video, You’re On The Air. This entry was posted in Non-Traditional Sales. Bookmark the permalink.